DecKorators Classic Round Aluminum Balusters offer distinctive design options not found with typical 2" x 2" wood balusters. Available in a variety of colors, these maintenance free balusters create an impressive and rich appearance of wrought iron. 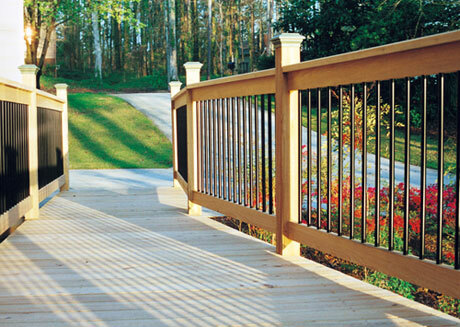 DecKorators Classic Round Balusters can install to wood or composite railings.